You either love it or hate it, and it is often considered the most widely used drug in the world. Coffee is also the second most traded commodity on earth, right after oil. But, regardless whether you are a caffeine junkie, ditched the addiction, or never understood how people enjoy the bitter stuff, how beneficial is coffee for your health? Is it a black elixir or a poison? And how much coffee is recommended? 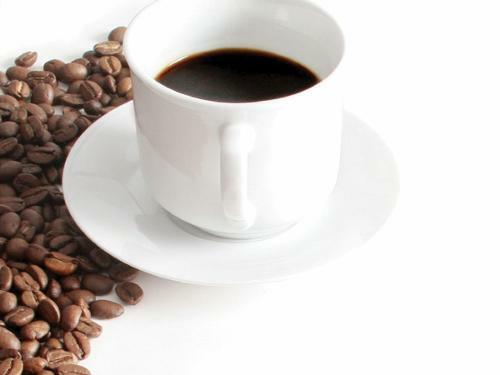 Read on to learn about coffee’s health benefits — as well as its drawbacks. Once and again, studies show that people who drink coffee have a decreased risk of developing diabetes type II, the one you get from bad dietary habits. This is good news for people in this country, which has one of the highest percentages of diabetes in the world. In a review of 28 studies published in the journal Diabetes Care, researchers found that drinking six cups of coffee a day could decrease the risk by more than 30 percent. The drawback: For people already suffering from diabetes II, drinking coffee may be less beneficial. Studies that gave people caffeinated coffee and then had them eat something rich in glucose showed that their sensitivity to insulin dropped and their blood sugars were higher than expected. The solution may be to drink decaffeinated coffee. A study performed by the American Academy of Neurology in 2013 found that coffee consumption may lower the risk of depression among adults. Another study in the same year by the Harvard School of Public Health found that drinking several cups of coffee daily appeared to reduce the risk of suicide in men and women by about 50 percent. Allegedly, the reason is that coffee acts as a mild antidepressant by aiding in the production of neurotransmitters, including serotonin, dopamine and noradrenaline. The drawback: A large Finnish study showed a higher risk of suicide among people drinking eight or nine cups per day. Drinking large amounts of caffeine — more than 600 to 900 mg a day — can also lead to insomnia, restlessness, nausea, irregular heartbeat, muscle tremors, and anxiety — not exactly things that make you happier. Coffee has been called an “anti-cancer wonder drug” for its cancer fighting properties due to the amount of antioxidants in it. The types of cancer it may protect you from include oral, uterine, prostrate, brain, colon, breast, and liver cancer. But there is more: Drinking coffee may protect you from Alzheimer’s disease and dementia, it lowers the risk of Parkinson, and it may have a protective effect on the liver. Consumption of coffee has been linked to lower risks for heart rhythm disturbances and for women, coffee may mean a lower risk of strokes. The drawback: Unfiltered coffee, including Turkish coffee, French press coffee and espresso, may increase your LDL — or bad — cholesterol levels. Other studies found that two or more cups of coffee a day can increase the risk of heart disease in people with a specific genetic mutation that slows the breakdown of caffeine in the body. Coffee also increases blood pressure. While the effect is not pronounced enough to say coffee increases the risk of hypertension, those who already suffer from high blood pressure and have difficulty controlling it may want to switch to decaffeinated coffee. Apparently, Americans are getting the bulk of their antioxidants from coffee, a study done by researchers at the University of Scranton demonstrated back in 2005. Antioxidants have been linked to a number of health benefits, including protection against heart disease and cancer. And that is not all: A cup of java also contains riboflavin (vitamin B2), panthothenic acid (vitamin B5), manganese, potassium, magnesium, and niacin. The drawback: Unfortunately, caffeine inhibits the absorption of essential vitamins D and B as well as minerals — calcium, iron, manganese, zinc and copper. It also increases the excretion of the minerals magnesium, potassium, sodium and phosphate. It is therefore recommended not to drink coffee right after or before a meal and, of course, moderation is key. Caffeine has been shown to improve muscle strength and endurance, which is why athletes often drink coffee or caffeinated energy drinks about 15 minutes to one hour before a race. Caffeine also leads to lower ratings of perceived exertion during endurance exercise. A review paper in the Journal of the International Society of Sports Nutrition recommends 3 to 6 mg per kilogram of body weight, or approximately one cup for the average adult. The drawback: Not everyone can tolerate caffeine while doing sports, and the consequence may be several trips to the bathroom – or portaloo, if you’re participating in an outdoor endurance race. Caffeine also increases the risk of dehydration. For many people, starting the day off with coffee is the only way to make them function, while their 4 p.m. cup of Joe provides a much-needed boost. The caffeine in coffee does not only give energy, it also makes you more alert and increases the ability to remember. It stimulates the release of norepinepherine, a stress hormone that sends a signal to the brain that something important is happening, which prompts your brain to store the information. According to Michael Yassa, Ph.D., a professor of psychological and brain sciences at Johns Hopkins University, the right time for consuming 200 mg of caffeine (about one cup) is five minutes after learning something, he said in the magazine Men’s Health. This will enhance your memory for at least 24 hours. The drawback: The flipside is that caffeine can lead to insomnia, making it advisable to stop drinking coffee or switch to decaf in the afternoon. Even if you have no problems sleeping when drinking coffee right before going to bed your sleep is likely to suffer. A small study in the Journal of Clinical Sleep Medicine gave normal sleepers 400 mg of caffeine either six hours, three hours, or right before going to bed. All of them saw the quality of their sleep deteriorated, even though the individuals themselves were unable to detect the sleep-disturbing effects of caffeine.